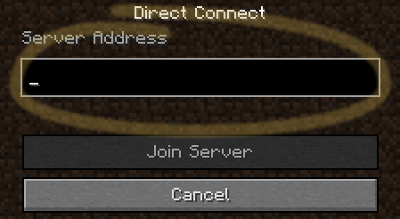 Select the Direct Connect button in the Multiplayer menu. Enter the address 8jj2kkiczx.v.miners-movies.com into the Server Address input field and click the Join Server button. © Florian Wesch 2019 | About | Imprint | Help | Need help/have feedback? | Minecraft is copyright Mojang and is not affiliated with this site.